The Los Angeles Dodgers will not have veteran slugger Justin Turner in their lineup on opening day. The third baseman for the reigning National League champions could be sidelined for much longer. 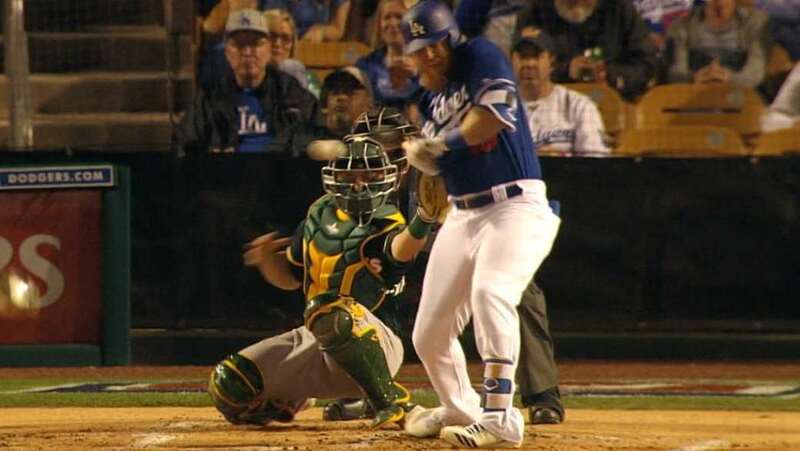 Turner broke his left wrist Monday night when he was hit by a pitch in the Dodgers 3-1 win over the Oakland A’s. The first inning pitch that hit Turner was thrown by Kendall Graveman a right-hander for the A’s. The NLCS MVP from last year winced and grunted loudly while jogging away from home plate to the dugout, with his hand hanging down to his side. He was visited quickly by team trainers and replaced at once by Donovan Solano. Turner said later Monday night that he had obviously hope that the x-rays would come back negative, but instead revealed a non-displaced fracture in his wrist. Last season Turner led Los Angeles in getting hit by pitches with 19. Turner said he would now just have to be patient and see how things go. Dodgers’ general manager Farhan Zaidi told reporters late Monday night that the team did not know at this time the length of time Turner could not play, but that it likely would be a few weeks or more. The Dodgers third baseman said he would visit with doctors again on Tuesday to learn more about the wrist injury. Opening day for the Dodgers is only 10 days away and it appears more than likely that the team will have to move Logan Forsythe over to third while Turner is out, and put Chase Utley or another player into second base in place of Forsythe. Zaidi said the team is not as good without Turner in the lineup, but that the team’s coaches and manager Dave Roberts feel good about its options to cover for Turner while the third baseman recovers, as there are players that can be shuffled around. Turner, who is 33, last season hit .322, 21 home runs and 71 runs batted in. The 19 times he was hit by a pitch last year topped the Dodgers and was third in Major League Baseball. Los Angeles is once again favored to win the NL West, but will face a stiff challenge, as it did last season, from Arizona and Colorado.